Dejan Jović is a political scientist and university professor at the Faculty of Political Sciences in Zagreb University. He obtained his PhD at the London School of Economics and was a Jean Monnet Fellow at the European University Institute. For a full decade he was a lecturer at University of Stirling (Scotland). In recent years, he also served as a Chief analyst to the President of the Republic of Croatia. 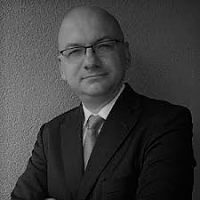 Currently, he is editor-in-chief of Political Thought review and president of the Managing Council of the Institute for International Relations in Zagreb.